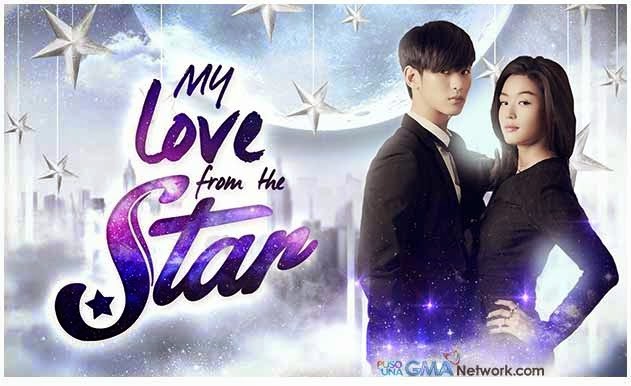 I'm looking forward to watching a gorgeous alien before the news (24 Oras) daily at GMA 7 at My Love from the Stars. Who wouldn't, with the dashing Kim Soo-hyun? His co-star, Jun Ji-hyun, who hasn't aged despite more than a decade since the phenomenal hit My Sassy Girl is also fun to watch with her comical role. I also love Yoo In-na's presence in the show. I've liked her since The Greatest Love and Queen & I (both locally shown in GMA 7). Too bad, the show's ending.